Golden: Are the cards falling just fine for Shaka’s group? Can Horns keep it up? 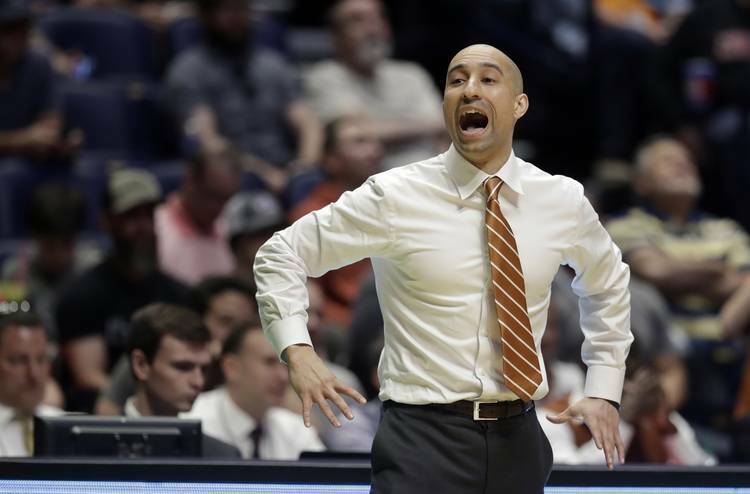 Shaka Smart would have said his team would be better than four games over .500 through 24 games had you asked him before the season, but now that the Horns are here, they must play with the hand they’ve been dealt. And right now the cards are falling just fine. Texas has won two straight for the first time since opening Big 12 play at 2-0 and could put itself in even better position to earn an NCAA Tournament bid with a home win over league-leading Kansas State on Tuesday. The Wildcats roll into town with an 8-2 conference record, three games ahead of Texas. UT has put together four great halves of ball over the past two games and looked big-and-burly good at West Virginia with so many dunks in Morgantown — including a great alley-oop finish from freshman Courtney Ramey — that I had to jam Onyx’s “Slam” out of sheer respect. At 14-10 and 6-5 in conference, the Horns are in a good (not great) place right now, with a chance to move up even higher. They present an interesting matchup with the Wildcats, who were without starters Dean Wade and Kamau Stokes when the Horns went into the Little Apple and won by 20 on Jan. 2. For the rest of Cedric’s Nuggets, including his thoughts on former Oklahoma QB Kyler Murray choosing football over baseball and new spring football league, the AAF, click here.